February 22 – March 10, 2019! Nora is an imaginative little girl whose Russian Jewish community faces the Pogroms of the 1900s, but when her family lacks the funds to send her to America, she and the local Dollmaker hatch a plan that will test her imagination and bravery. I’m writing the lyrics, with music by Brian Feinstein and book by EllaRose Chary and Francis Sillau, based on the book by Sashi Fridman. What do Mrs. Lovett and Darth Vader have in common? Find out in this updated version of my lecture. 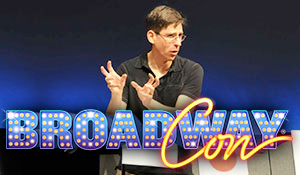 Can’t make BroadwayCon? Book my lecture at your school or writers group. **This seminar is not endorsed by or affiliated with Star Wars, Lucasfilm, The Walt Disney Company or the Galactic Empire. 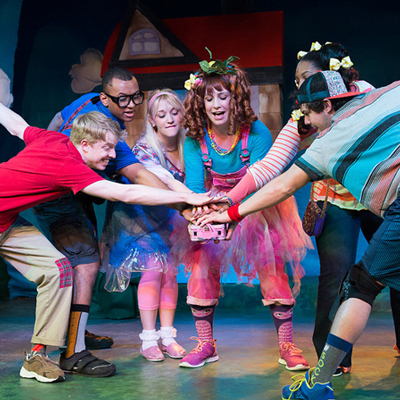 Originally presented at the New York Musical Theatre Festival (NYMF) in 2013. 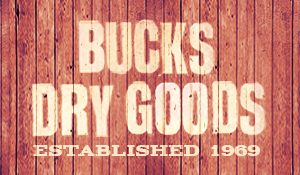 Come on down to the new virtual general store! Sheet music is available for songs I wrote with Dan Acquisto and Brandon James Gwinn, including Like You Like It, Small Town Story, …And Then I Wrote a Song About It, The 7-Year B*tch and more. In honor of the September release of the hit movie It, composer Jeff Thomson and I wrote a song inspired by Stephen King’s novel. 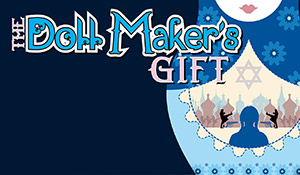 At its heart, IT is about the power of childhood imagination and the unbreakable bonds between friends and siblings. In this scene, a 12-year-old Bill guides his younger brother, Georgie, in making a paper boat. Georgie sees it as merely a piece of paper but Bill sees it as a world to explore. Watch Nick Cearley (The Skivvies, Pageant, All Shook Up, Buyer & Cellar) as he returned to New York on May 13 at Feinstein’s/54 Below to recreate his award-winning performance as Randall Klausner, a perspiring actor-singer-songwriter-dancer-secretary searching for love and fame in the late ’70s/early ’80s, as well as the colorful characters he meets along the way. 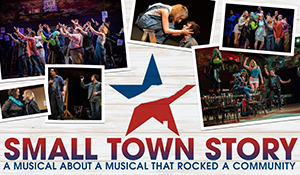 All-Star Studio Cast RADcording from Broadway Records! 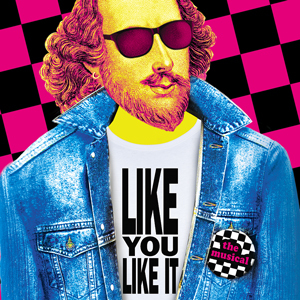 Go to back to the ’80s in in this awesome mashup of Shakespeare and John Hughes. The Studio Cast RADcording of Dan Acquisto’s and my show Like You Like It features Alison Luff (Escape from Margaritaville), Derek Klena (Anastasia), Robin De Jesus (The Boys In The Band), Patti Murin (Frozen), Lesli Margherita (Matilda), Laura Osnes (Cinderella), Nathan Johnson (Like You Like It at The Gallery Players), Kate Rockwell (Mean Girls), Sam Underwood (Fear The Walking Dead), Bonnie Milligan (Head Over Heels), Nick Cearley (The Skivvies) and more! Over the last few years, I’ve had the pleasure of writing short musicals for Prospect Theatre, sharing the evening with other short pieces by a stellar list of writers. In 2013’s Portraits, Dan Acquisto and I wrote The Art of Joey Feldman, about a rigid and literal-minded safety inspector for a flying rig company who rediscovers the meaning of magic (check out one of the songs). 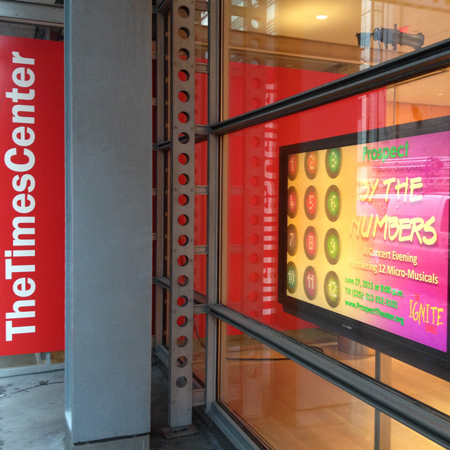 Then last year at The Times Center, Clay Zambo and I were a part of By The Numbers, an evening of five-minute musicals based on the numbers 1 – 12. We were number one – literally – with Decide, about a young woman forced to choose only one scoop of ice cream, and the reverberations throughout her life.